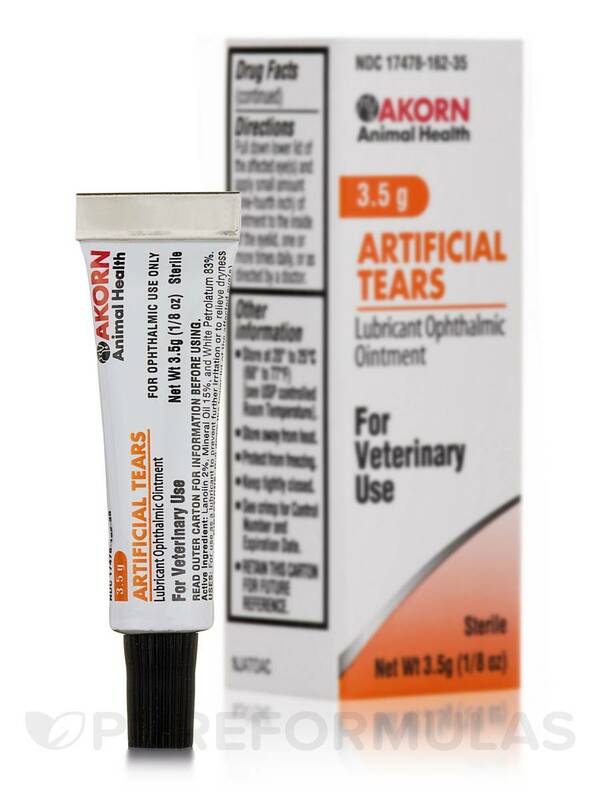 Artificial Tears Lubricant from Akorn‚ Inc. might help keep eyes moist and protect them from injury and infection. It is important to maintain eye health‚ especially because any damage to the eyes could affect vision. It is common knowledge that vitamin A is extremely beneficial for maintaining good eye health. This supplement from Akorn‚ Inc. might help reduce symptoms like burning and itching‚ which can cause discomfort. 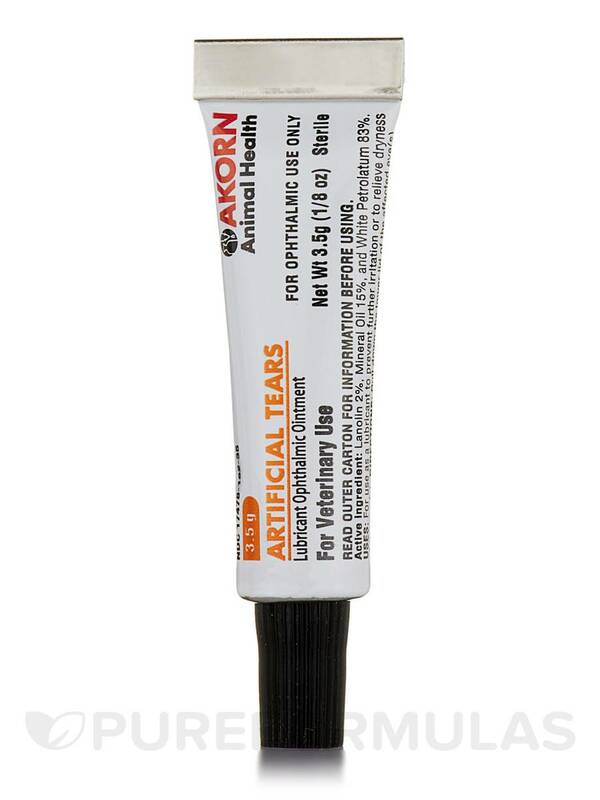 The main component in this ointment is lanolin‚ which is obtained from sheep. Sheepskin has pores that produce oils to keep the skin moisturized. The oil seems to help protect the sheep from the cold‚ wet weather by spreading through the wool and making an oily and water-repellent layer. Wool is regularly trimmed and when the wool is processed‚ the lanolin is extracted and reserved for using in various products like cosmetics‚ skin creams‚ and some moisturizing shampoos. Lanolin may have the ability to lock the existing moisture into the skin and absorb additional moisture from the air to keep the skin constantly hydrated. 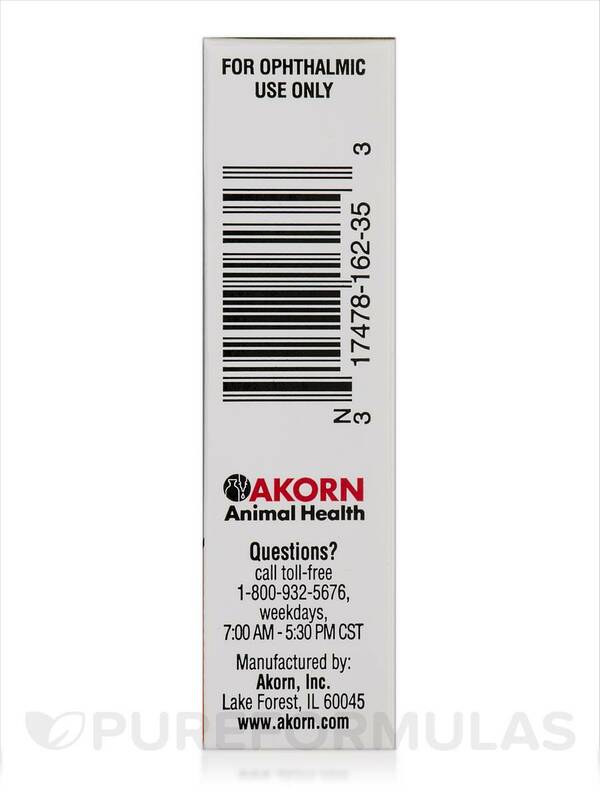 This supplement is for veterinary use only. Follow all directions carefully and consult with a veterinary professional for the best results. 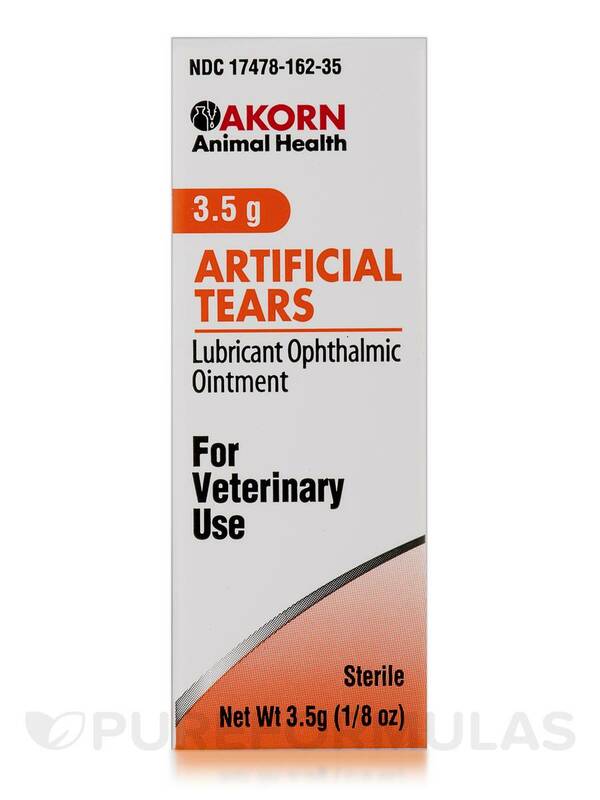 Mineral oil present in Artificial Tears Lubricant Ophthalmic Ointment 1/8 oz (3.5 Grams) from Akorn‚ Inc. is a clear liquid used in many cosmetic products and eye lubricants like this one. 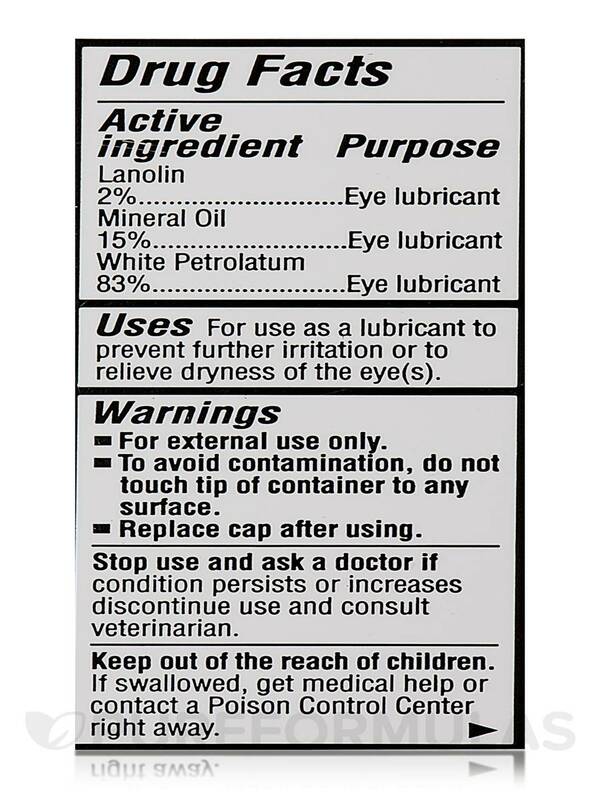 Pull down lower lid of the affected eye(s) and apply small amount (one-fourth inch) of ointment to the eyelid‚ one or more times daily‚ or as directed by a doctor. For external use only. 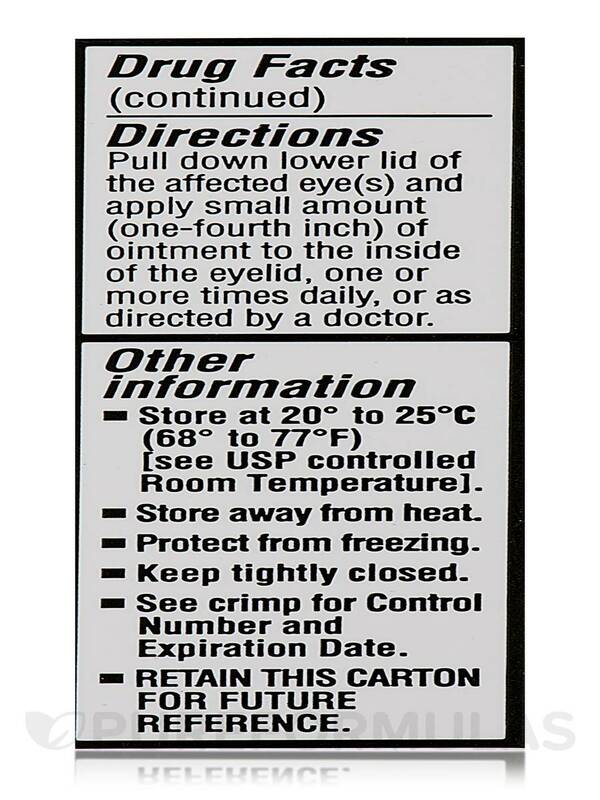 To avoid contamination‚ do not touch tip of container to any surface. Replace cap after using. 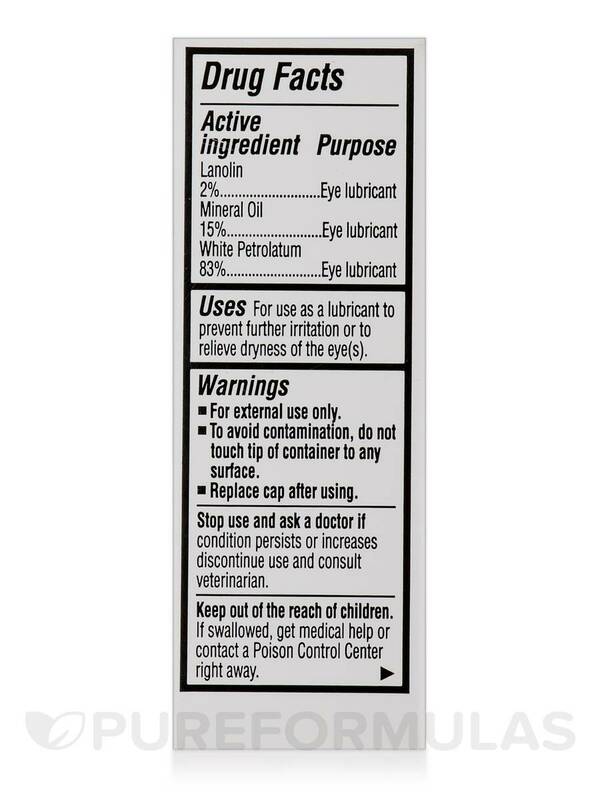 For ophthalmic use only. Stop use and ask a doctor if condition persists or increase discontinue use and consult veterinarian. Keep out of the children. If swallowed‚ get medical help or contact a Poison Control Center right away. For veterinary use only. 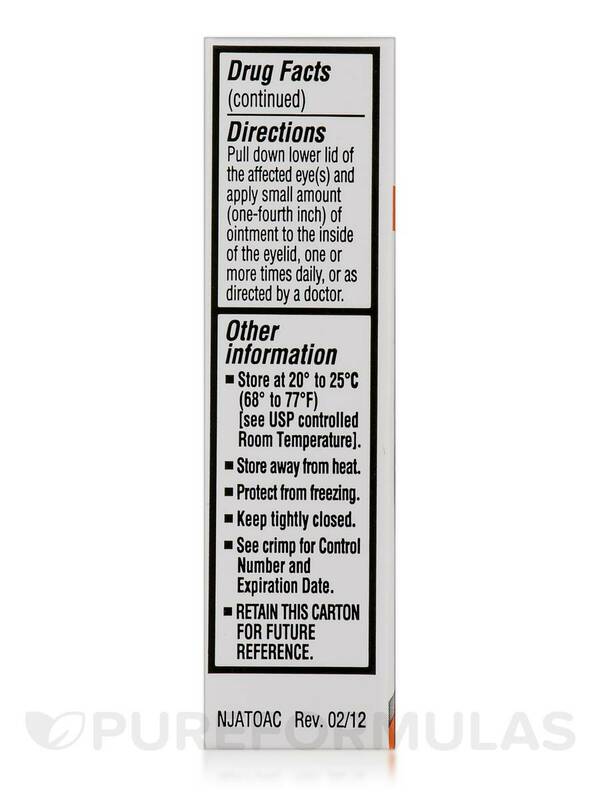 Note: Do not use if bottom ride o tube cap is exposed. Store away from heat. Keep tightly closed. Protect for freezing.